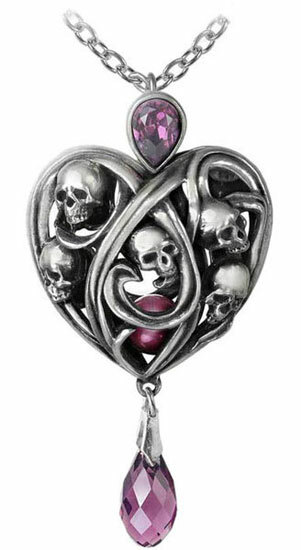 Purple pearl caged and protected by a heart woven in skulls. 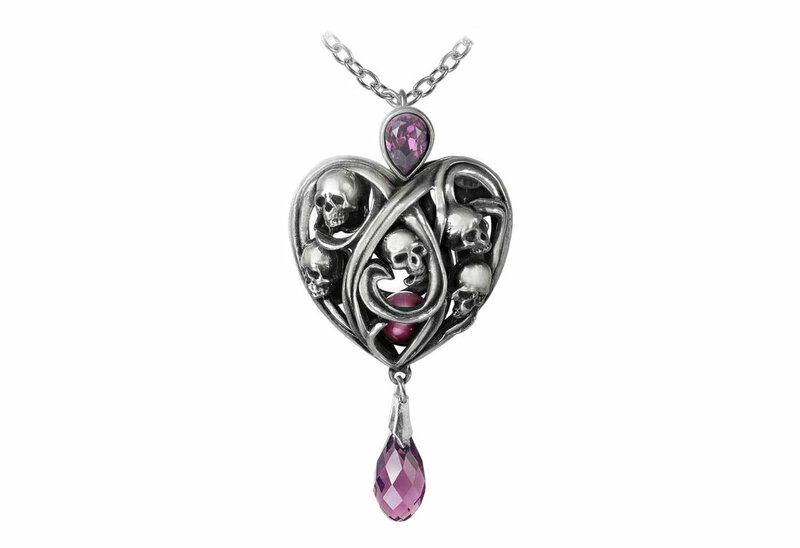 Made of fine English pewter and Swarovski crystal. Measures approximately 2.7 inches wide, 1.75 inches high and 1.25 inches deep. Imported.